We’ve lived in this house for more than a dozen years. But I still forget which switch turns on the light over the sink and which switch turns on the garbage disposal. My brain has committed to memory the purpose of the three switches in our bathroom, the two in the hall, the two in the stairwell and the two in the garage. But for some unknown reason, I turn on the disposal when I want the light more often than not. Perhaps I’m too busy to care. Perhaps, deep down, I like the rush I get when that terrifying grinding noise roars out of the sink each time I flip the wrong switch in the darkness of the kitchen. It isn’t a big deal, really. I am just curious. How many more years will I need to live in this house before I start getting the right knob for the right job? But I also have to wonder how many other parts of my life are a guessing game, when they should be a simple decision. How many other times have I made the wrong choice, over and over again, when all I had to do was make the right choice and commit it to memory. A simple idea, really. “The Switch on the Right, Turns on the Light.” Illumination is achieved. “It’s nice to be important but it is more important to be nice.” Friends are made. “A penny saved is a penny earned.” The bank account grows. “You are what you eat.” Health is restored. But life is about more than catchphrases and soundbites. 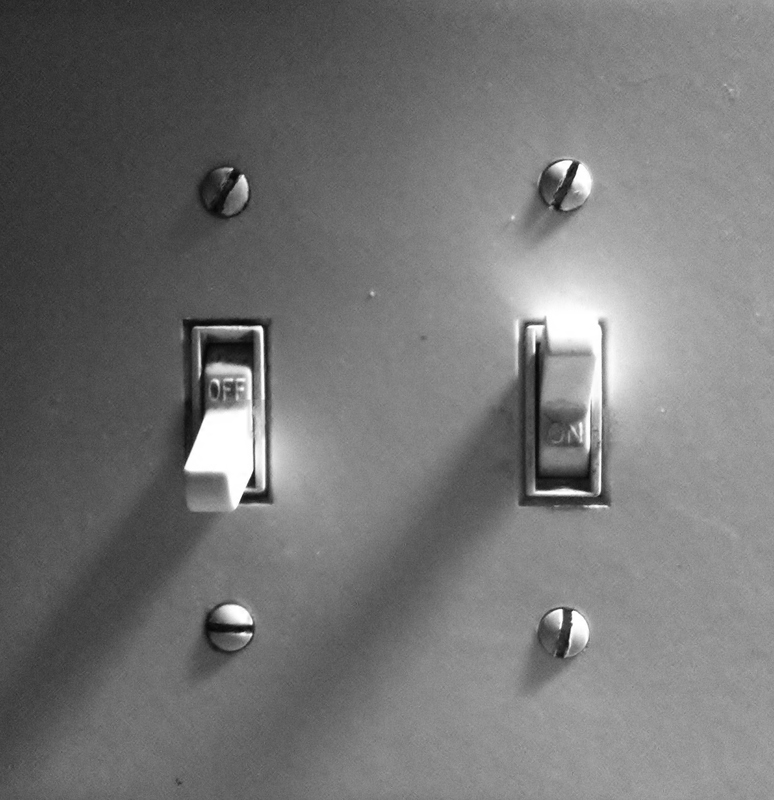 Life is harder than flipping a switch to make everything better…Or is it? Sure, emotions, memories, and long-formed habits get in the way. However, after a decade of scaring my socks off in the early mornings when I reach for the wrong switch, I think I’ve finally changed that pattern. And all it took was a little attention and a little intention. And that’s the secret, isn’t it? Yes. It is.